These are the extra large (XL) versions of our fisherman pants. Although the standard size is one size fits most some of us need a little bit extra. The same very high quality cotton is used and all pants come with a pocket. You can See the actual dimensions in the product descriptions. 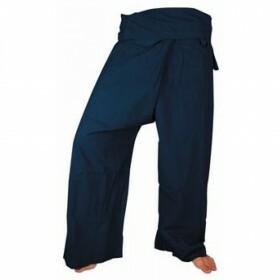 Black Fisherman Pants - 100% Cotton - Extra Large size These are the extra large, plus size versi..
Brown Fisherman Pants - 100% Cotton - Extra Large size These are the extra large, plus size versi..
Green Fisherman Pants - 100% Cotton - Extra Large size These are the extra large, plus size versi..
Navy Fisherman Pants - 100% Cotton - Extra Large size These are the extra large, plus size versio..
White Fisherman Pants - 100% Cotton - Extra Large size These are the extra large, plus size versi..